Choosing a good reference photo is just the starting point. 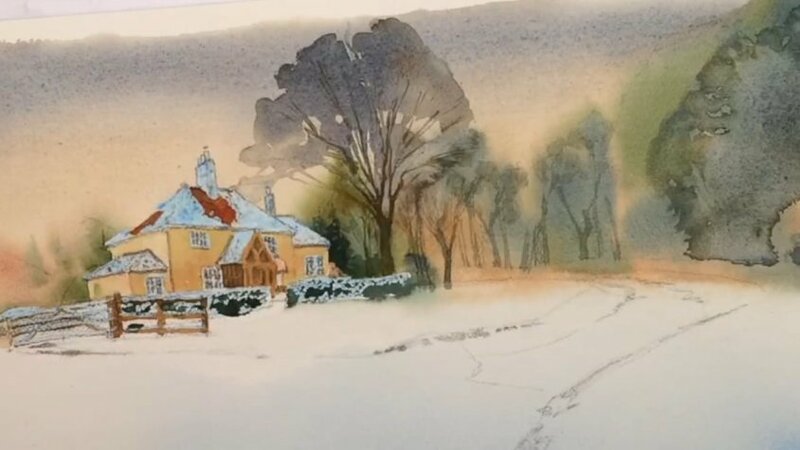 In this watercolor painting video demonstration you begin by learning watercolor tips on how to improve on the photograph and create a more pleasing composition. There is a discussion about the watercolor materials. All aspects of watercolor painting are addressed. The key concepts in part 1 are: importance of preliminary sketches and basic drawing concepts; compositional considerations; watercolor application techniques; color variation in space; color choice; painting sequence. The main and background elements of the watercolor painting are addressed in this video lesson.